Before releasing his album, Yeezus, Kanye West sparked a lot of social conversations following his proclamation that he’s the nucleus of culture; and now it seems the rapper’s words are manifesting themselves after he has inspired the creation of a new video game. 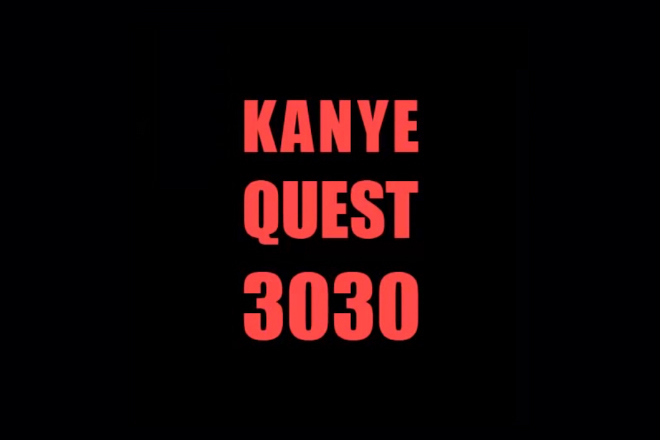 Kanye Quest 3030 is a new hip hop themed science-fiction role playing game that features an 8-bit 2D Kanye character as its protagonist. Developed by the Japanese company, Phenix, (without permission from the rapper) the game also features clones of other hip hop artists including Jay-Z, Nicki Minaj, Lil B, 2Pac and the Notorious B.I.G. These clones are controlled by a “god-like dictator”. In 2010 – the initial setting of the game – while Kanye is taking out garbage one day, he is teleported to the mysterious year 3030, in a city replete with evil and fear. He is faced with perilous challenges across the dystopian city as he has to battle his way past the clones, each more dangerous and cunning than the last. In the past, we’ve seen similar video games being made after other rappers. The Wu-Tang Clan inspired the PlayStation classic, Wu-Tang: Shaolin Style and 50 Cent: Bulletproof and Blood on the Sand was obviously made after Curtis Jackson aka 50 Cent. The game is available for download on its creator’s Tumblr page.